Now, scientists from the research group of Nir Bar-Gill at the Hebrew University of Jerusalem’s Racah Institute of Physics and Department of Applied Physics, in cooperation with Prof. Eyal Buks of the Technion – Israel Institute of Technology, have shown that ultra-high densities of NV centers can be obtained by a simple process of using electron beams to kick carbon atoms out of the lattice. This work, published in the scientific journal Applied Physics Letters, is a continuation of previous work in the field, and demonstrates an improvement in the densities of NV centers in a variety of diamond types. The irradiation is performed using an electron beam microscope (Transmission Electron Microscope or TEM), which has been specifically converted for this purpose. 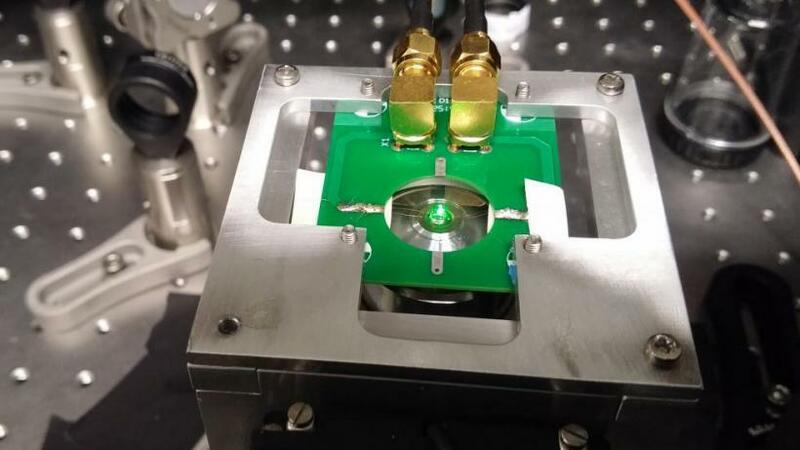 The availability of this device in nanotechnology centers in many universities in Israel and around the world enables this process with high spatial accuracy, quickly and simply. 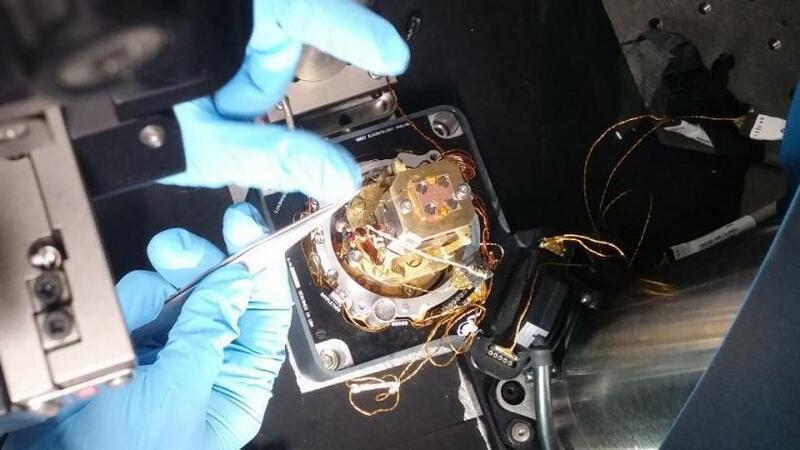 “This work is an important stepping stone toward utilizing NV centers in diamond as resources for quantum technologies, such as enhanced sensing, quantum simulation and potentially quantum information processing”, said Bar-Gill, an Assistant Professor in the Dept. of Applied Physics and Racah Institute of Physics at the Hebrew University, where he founded the Quantum Information, Simulation and Sensing lab. SUPPORT: This work was supported in part by the Minerva ARCHES award, the CIFAR-Azrieli global scholars program, the Israel Science Foundation (Grant No. 750/14), the Ministry of Science and Technology, Israel, the Technion security research foundation, and the CAMBR fellowship for Nanoscience and Nanotechnology.